A college for students who aim to find nursing, medical health or medical coding-related jobs at hospitals. Employment rate: 100% This is a college with a strength in employment in the medical industry as well as other industries. Instructors specialized in Employment provide in-depth guidance and support in line with the characteristics of each course, which includes consultation on the selection of a place of employment, interview practice, and preparations for written examinations and aptitude tests. A medical clerk is one of the most popular jobs among clerical jobs for females. In this course, students aim to become medical office assistants who engage in front desk and accounting operations at hospitals and clinics. 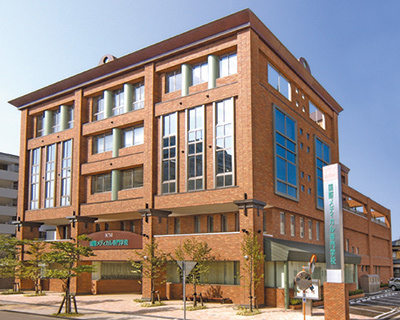 The International College of Medical Technology is the only college in Niigata where students can prepare for the acquisition of qualifications for health information managers. The course aims to develop medical record management specialists who work in general hospitals. Graduates are working as trainers or aestheticians or running their own clinic. Students in this course aim to become acupuncturists and/or moxibustion practitioners, who give treatment to enhance immune systems by stimulating acupuncture points. Students aim to become clinical engineers who can operate high-tech medical equipment, such as artificial heart-lung machines and respirators. Students aim to become nurses who help patients receive appropriate medical care toward recovery through practical training at hospitals and collaboration with other courses.